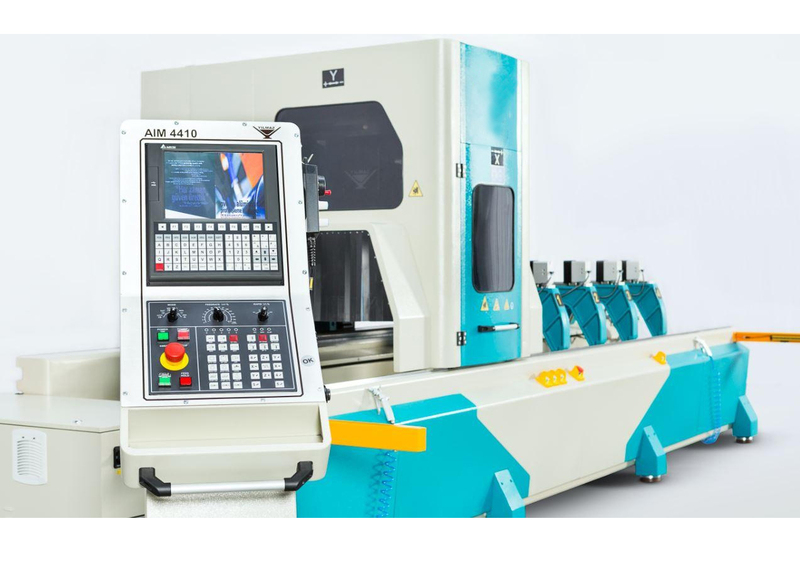 AIM 4410 is 4-axis servo controlled machining center which is designed to perform drilling, grooving, notching, taping, saw milling, etc. on all kinds of aluminum & PVC profiles, light alloys in general and thin walled steel profiles. 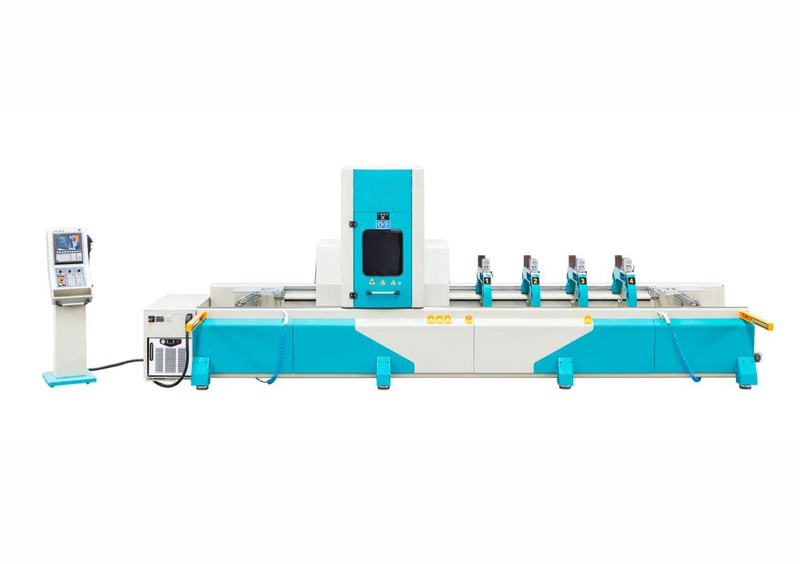 Efficient and economic processing on the five sides of the profiles is possible with this fully automatic machining center. 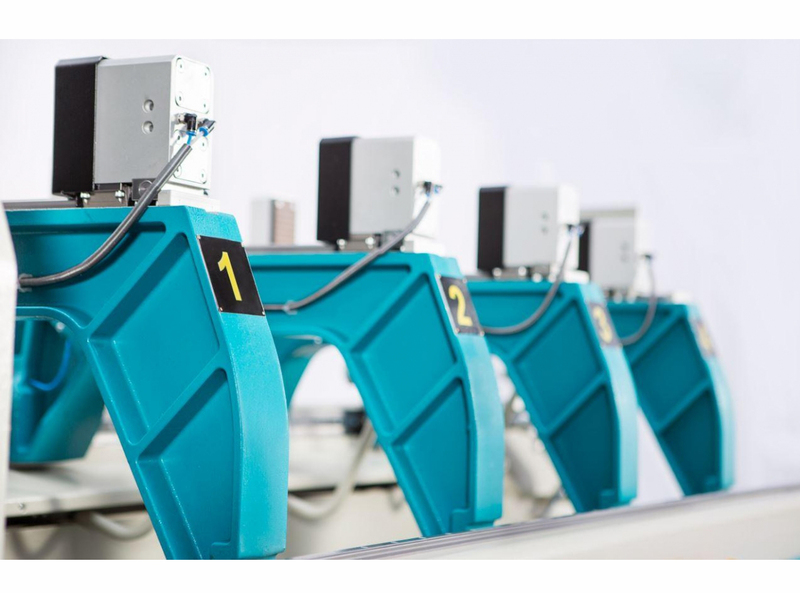 The moveable turret type of tool magazine equipped with 12 standard tools provide a fast tool change. 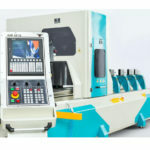 It is housed in the mobile gantry to minimize the tool change time. An additional magazine for the saw blade with 180 mm dia. 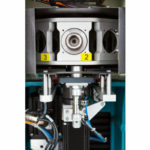 ensures the ease of machining on the exterior applications of the profiles. 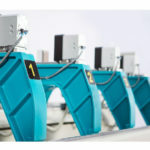 The machine can be used in tandem mode, a work method that allows machine stop times to be reduced to a minimum as it allows work piece change time (loading/unloading) to be run “while the machine is operating. 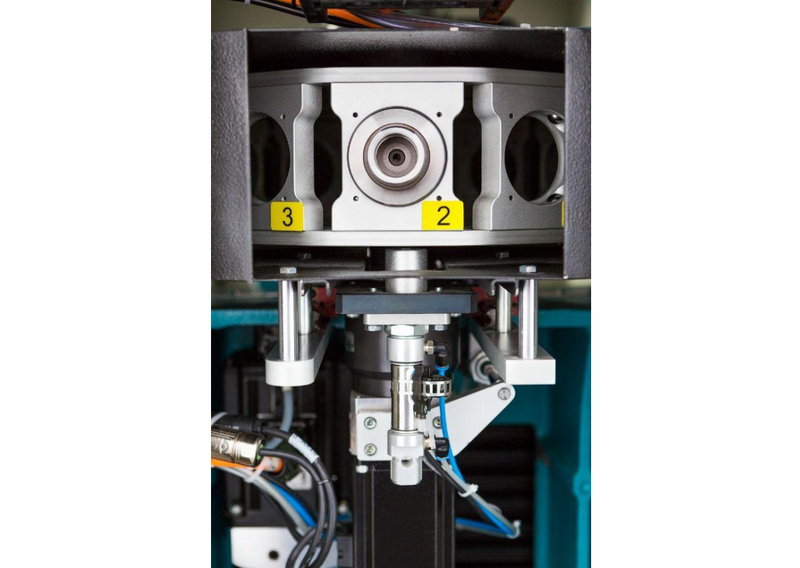 Automatic clamp recognition and clamp positioning is available. 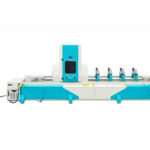 The machine can be operated as two stations with separated working zones to avoid the loss of loading & unloading time. 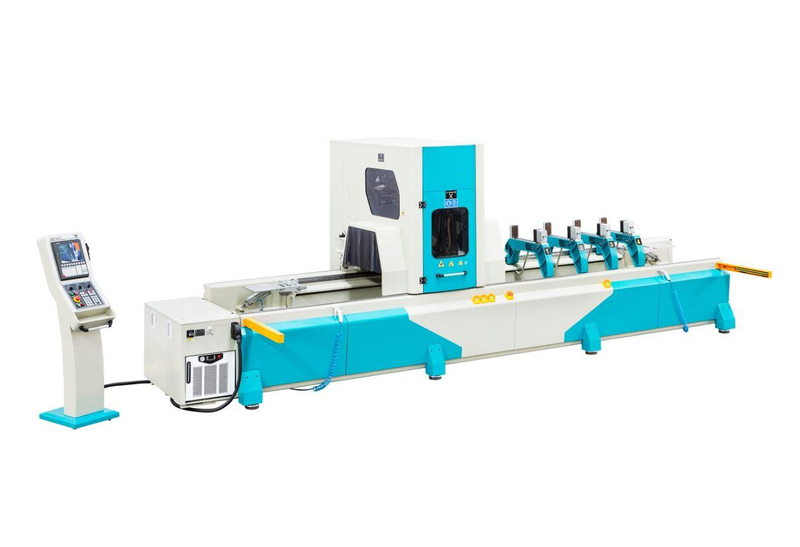 Machine is produced with steel profiles and sheet, and designed for the agronomy that allows operator easy installation of work pieces by hand. Metal parts are painted with Electrostatic Powder Paint which provides resistance against corrosion. 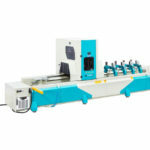 Front section of machine is covered with moving door with transparent plexiglass windows so that operator can easily follow the machining process of work piece. This door also provides safety for operator. 2 x separate magazine unit for 12 standard tools and 1 for saw blade with 180 mm dia.